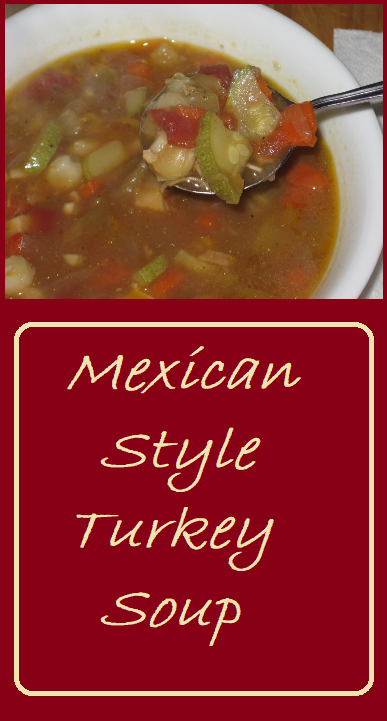 This delicious Mexican Style Turkey Soup recipe is loaded with flavor, and surprisingly low in fat and calories. It’s the perfect way to finish off the end of your turkey. This is especially true if you boil the leftover turkey carcass to liberate the last of the meat that is clinging to the bones and make your own turkey stock. 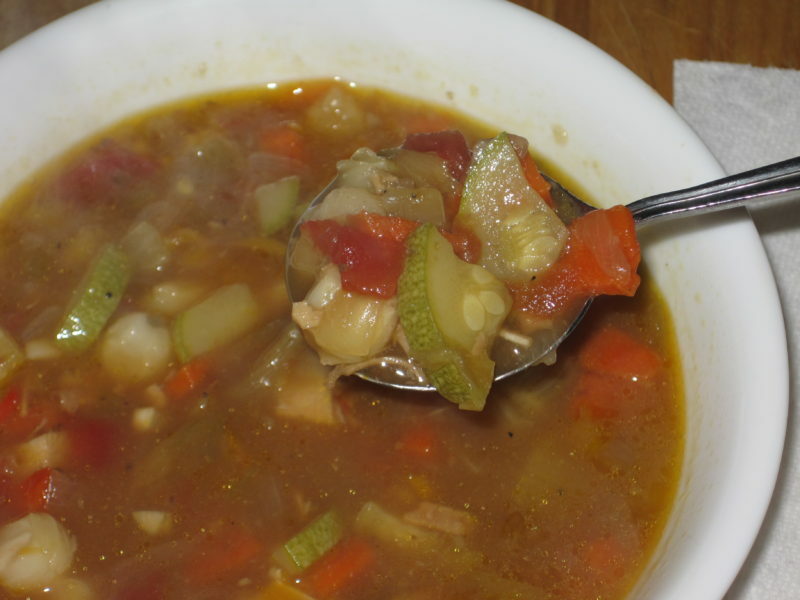 This low-calorie but hearty soup is the perfect way to warm up on a cold evening. It’s also a delicious opportunity to be nice to your body after all of the calorie laden foods from Thanksgiving Dinner. Give this recipe a try, and let us know what you think. 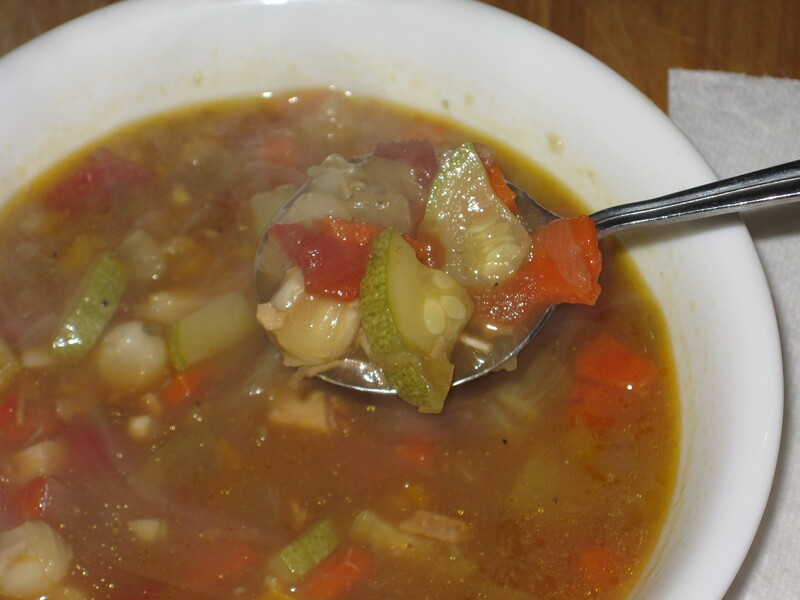 Turkey Soup was always a favorite after Thanksgiving recipe in my parents house when I was a child. As an adult, I find that I change the recipe to try and infuse the flavors of a different culture into my soup. This one is a cross between a caldo de pavo and a posole, and it's delicious. This recipe yields 4 quarts of soup. I listed the yield at 8 because that allows for large (2 cup) meal sized servings. Feel free to cut the recipe in half if you don't want that much soup at one time. Total cost of recipe is $9.83 if you have to buy turkey broth. It's only $6.35 if you make your own turkey broth/stock from your turkey carcass. This gives us a per serving price of between 80 cents and $1.23. Heat oil in the bottom of a large pot. Add diced onion and chopped garlic and saute for 2-3 minutes, stirring often until onions are translucent. Add chopped carrots and celery, and stirring often, saute until they are beginning to soften. Add turkey, broth and bay leaf, and mix well to incorporate. Bring ingredients to a boil and add canned tomatoes, diced green chilis, salt, and pepper. Add enough water to just cover all of the ingredients. Bring to a boil, reduce heat, and simmer, loosely covered, for 40 minutes. Add drained and rinsed hominy. Add more water to keep ingredients covered, if necessary. Return pot to a boil over low to medium heat. Add diced squash, and allow to cook for 15 to 20 more minutes until squash begins to soften. 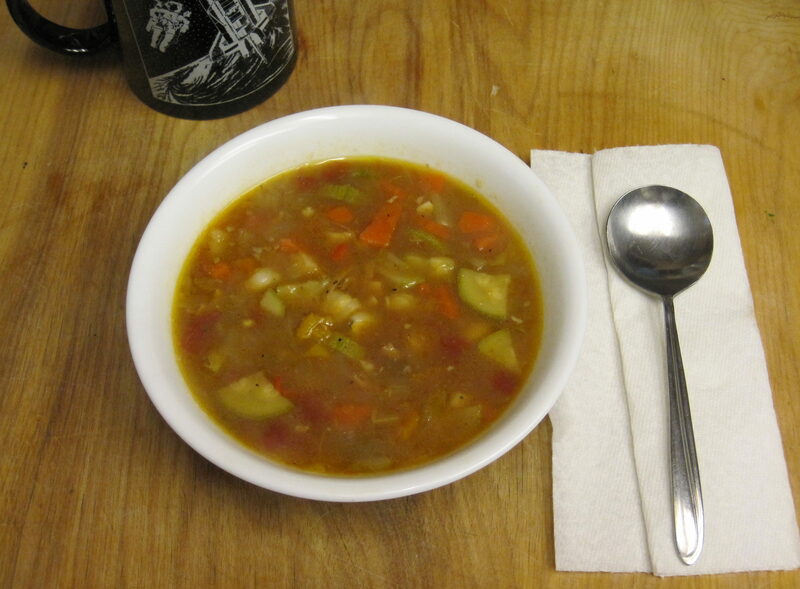 Nutrition information is for 1/8th of the recipe or approximately 2 cups of the soup.